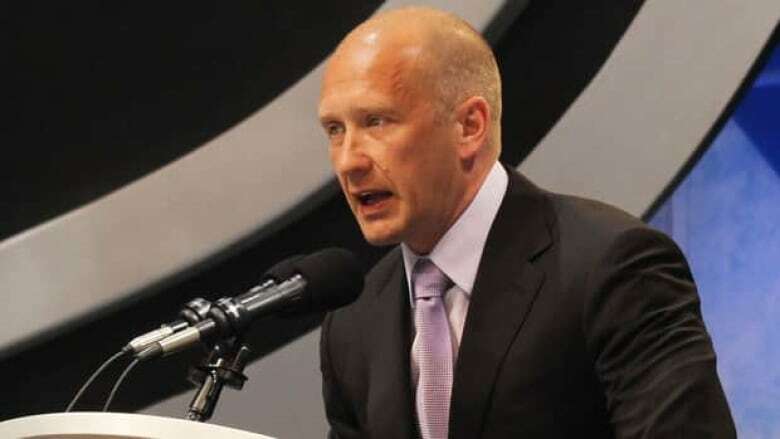 The Columbus Blue Jackets have made history by hiring Jarmo Kekalainen of Finland as the first European to become a general manager in the National Hockey League. The Columbus Blue Jackets hurried to make history. Just more than 24 hours after firing Scott Howson, they announced the hiring of Jarmo Kekalainen of Finland as the first European to be a general manager in the National Hockey League. Kekalainen, director of amateur scouting with the St. Louis Blues 2002-10, held a news conference Wednesday in his native Finland at the same time the Blue Jackets Blue Jackets held theirs in Ohio. "One of my dreams since I hung up my skates has been to be a GM of an NHL team sometime. Now that dream has come true," Kekalainen said in Helsinki at the home arena of the Jokerit club, where he's been GM since 2010. "I'm really happy and pleased, even proud, that I've been give this chance." The 46-year-old, who played sparingly in the NHL, worked closely with Columbus director of hockey operations John Davidson with the Blues. When the Blues hired Doug Armstrong as general manager in 2010 instead of Kekalainen, Kekalainen returned to Finland to take over as GM of Jokerit in Finland's top league. "Jarmo and I have a relationship that goes back a number of years, most recently with the St. Louis Blues organization where he was an assistant general manager and in charge of the amateur draft," Davidson said. "I look at Jarmo as a person who has a world of experience. Thirty percent of the players in our league are European. He's very intelligent about the world of hockey, not only in Europe but also in North America." Kekalainen's current team is in first place. So badly did Kekalainen want to return to the NHL as a GM, that he had an unwritten agreement with the club's owner that he could be let out of his contract if a GM job developed in the NHL. He is expected to arrive in Columbus as soon as travel and visa issues are resolved. "I'm humbled but at the same time have faith in myself. I believe I've deserved this opportunity through my own hard work," he said. "Now I'm going to roll up my sleeves and go there and build a team out of the Columbus Blue Jackets that seriously aims to win the Stanley Cup." He'll face a number of challenges. Under Howson, the Blue Jackets made the playoffs in 2008-09 but have fallen to the depths of the league since. They had the worst record in the league a year ago, have a record of making a mess of things at the draft and in trades. Attendance has fallen; there are published reports that the club sold between 7,000 and 8,000 season tickets this season. The Blue Jackets are 4-7-2 in this lockout-shortened season and leave Wednesday to begin a six-game Western swing that starts in Los Angeles on Friday night. The club does have three first-round picks in this summer's amateur draft. "We feel here that we know how important the draft is, especially with a deep draft and this one is a deep draft," Davidson said. "He'll become a major voice regarding the upcoming draft. That certainly played into it. That's a part of it, but it's certainly not all of it." Howson, a 52-year-old Toronto native, was hired as executive vice president and general manager on June 15, 2007. He took the place of Doug MacLean, who had guided the franchise from its inception, through its first NHL season in 2000-01 and the next five campaigns. He was in charge in 2008-09, when the Blue Jackets went a franchise-best 41-31-10 and made the playoffs with star forward Rick Nash and Calder Trophy-winning goalie Steve Mason leading the way. But the club then fell on hard times and last season was an NHL-worst 29-46-7. Midway through the season, Howson revealed that Nash, the team's captain, had asked to be traded. It took months before Nash was dealt along with a minor league defenseman and a conditional third-round pick to the New York Rangers for forwards Artem Anisimov and Brandon Dubinsky, 21-year-old defenseman Tim Erixon and a first-round pick. The Blue Jackets won their opener this season at Nashville, and earned another point in their second game. But they lost eight of 10 games before Monday night's surprising 6-2 victory over San Jose — scoring as many goals in one night as they had in their three previous games combined. "I'm anxious to get down to work and meet this new challenge," said Kekalainen, who lived in the U.S. for 13 years before his return to Finland. He played 55 games in the NHL as a left wing over six seasons with the Ottawa Senators and Boston Bruins. "I know Jarmo's going to have success," Davidson said. "He's a driven man." Quiz: Know your European NHLers?